Microsoft is set to spend over a billion dollars (£649,525,000) on marketing Kinect and Windows Phone 7 later this year. Microsoft's billion dollar marketing spend will be broken down into $400 million on advertising for Windows Phone 7, with a half a billion dollars earmarked for marketing Kinect. The New York Post is reporting that Microsoft is spending the $500m Kinect budget on what it refers to as "a major movie-style marketing blitz" next month. Microsoft is also planning a YouTube homepage takeover, in addition to ad buys on Nickelodeon and Disney sites, TV ad campaigns around leading shows such as ABC's "Dancing with the Stars" and Fox's "Glee" and a major Times Square launch event. Movie legend Steven Spielberg has reportedly been involved in the planning for next month's Kinect launch extravaganza, with over 7,000 midnight openings scheduled for the US market. 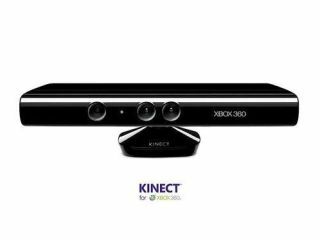 Kinect launches in the UK on November 10th. Stay tuned for updates on the UK launch plans as and when we hear more. "Kinect is the largest, most integrated marketing initiative in Xbox history, bigger than [the Xbox 360's] launch," said general manager of global marketing communications at Xbox Robert Matthews. "We are going to be spending millions to launch this globally."